Comes in a convenient aerosol spray for easy application. 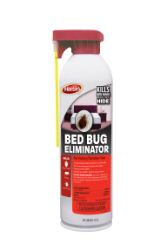 It can be used as a spot treatment or as a crack-and-crevice application indoors to kill hidden pests. The applicator straw directs the spray to the target, making the application quick and accurate.